Natalie Pearl shows her OJCL spirit on T-Shirt Day! The convention is in full swing! Activities today included: certamen (both open/fun and competitive/bloodthirsty), English oratory, chess, the 2nd testing session, colloquia (Laura Schoettmer made a wax tablet! ), essay contest, the 2nd GA, basketball, the start of student elections, track & field, and the academic decathlon (with the top 3 winners receiving cash prizes!). 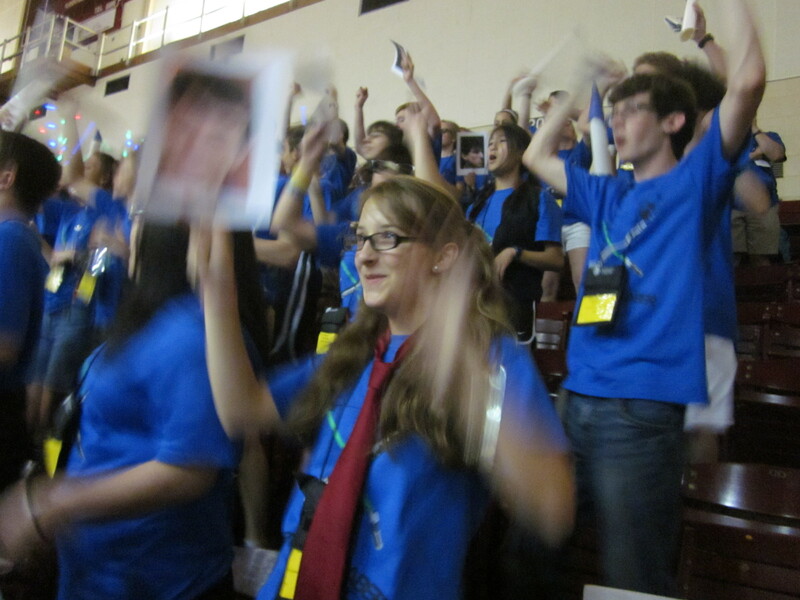 All 3 state chairs are at this convention. Jenn Bruening is in charge of Sponsors & Contests, Bryan Inderhees does Technology & Convention, and I supervise the the student officers and JCL delegates. The 3 of us attended the State Chairs Luncheon and were treated to some fine KY barbecue & beans. The cheesecake also was very good. They confirmed the sites of the next few conventions: Wake Forest NC (2012), UNLV NV (2013), Emory GA (2014), Trinity TX (2015), and Indiana University IL (2016). Why have these places been chosen? Each one has some dedicated teachers who are willing to work with the university and to host 1,500 people who all share a love of the Latin language and classical civilization. Heather, Anna, and Mark lead the spirit cheers. Sam Buck and I attended the Nominations Committee Meeting, mandatory for all student candidates for national office. Sam will be running against one other student. She gave a great speech which outlined her qualifications and demonstrated her understanding of the duties of the office. Go, Sam! OH students support Sam at the NomCom meeting. 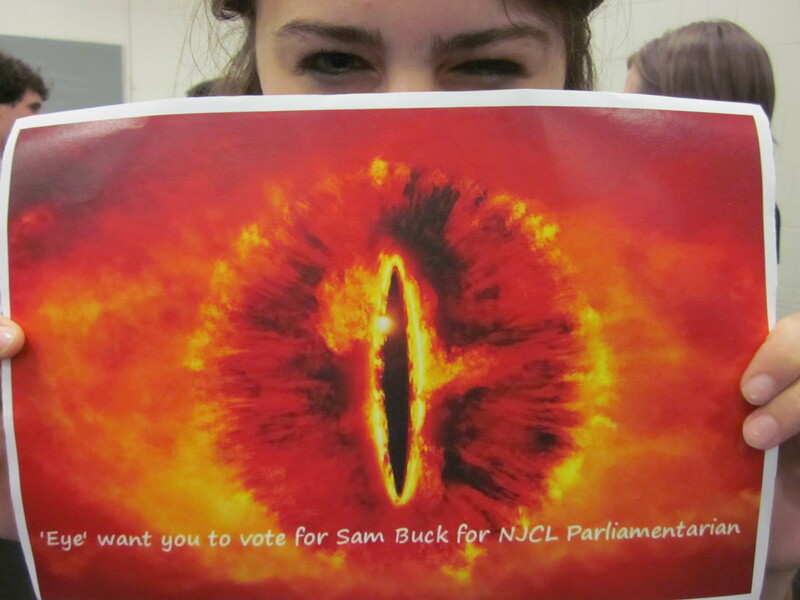 The Eyes of Sam Buck are upon you! The campus at EKU is very nice, and all events are within a short walking distance. 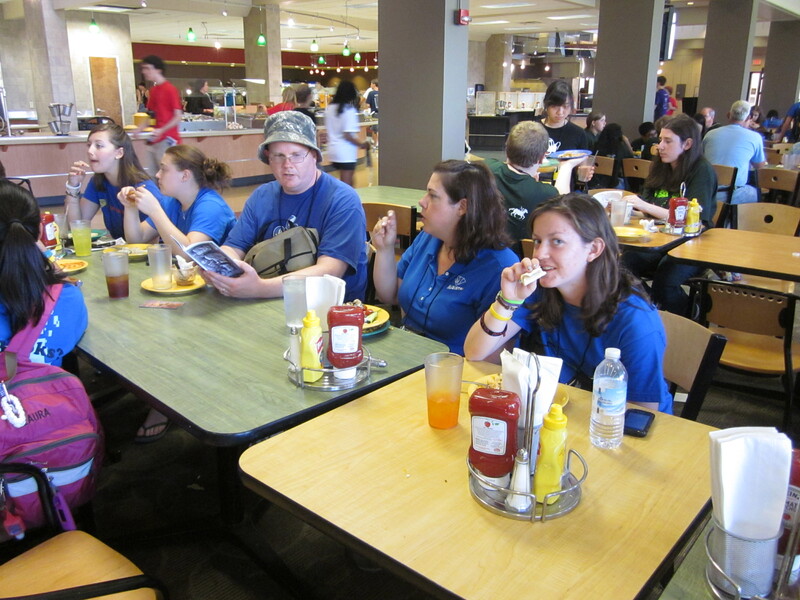 The dining hall offers a great variety of food, often with pasta and stir fry and burgers and pizzas cooked fresh right there in the dining hall. Go to the shutterfly account and click on ‘View All Videos’ to see a tour of the facility and a visit with OH students. Teachers Brian Compton and Melissa Burgess enjoy a meal with the Indian Hill students. 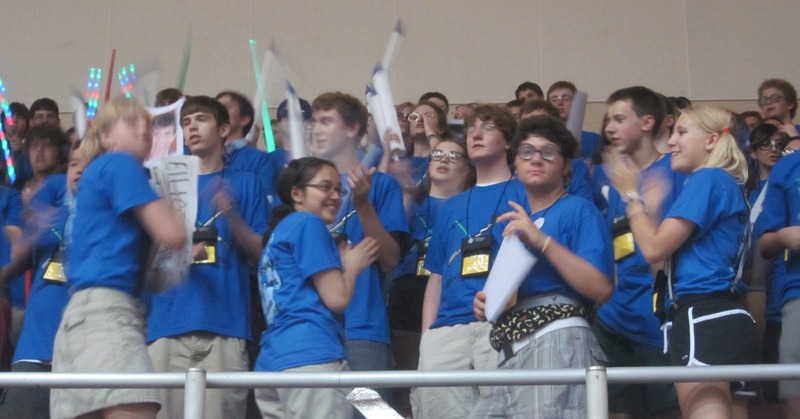 The Upper team was a bit tight in their 1st match against a tough Wildcard team, but they still managed to rack up 80 points during the round. The Intermediate team was dominating in an easy 1st round match. Tino led the way, but it was a great team effort. In the end, they amassed 270 pts (which is quite an impressive score). Lastly, the Novice team had a tough opening draw against perennial power Texas, but they played a fantastic round and took the match. Jesse was particularly impressive: his quick buzzes & confident answers got 7 of the 20 toss-up questions. 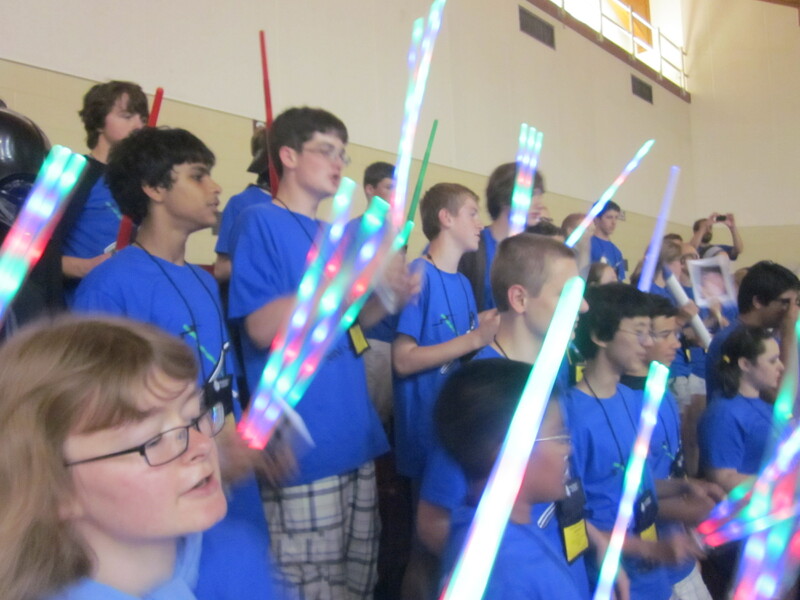 Click here to see an analysis of the 1st round by the OH Certamen coaches in an ESPN interview. 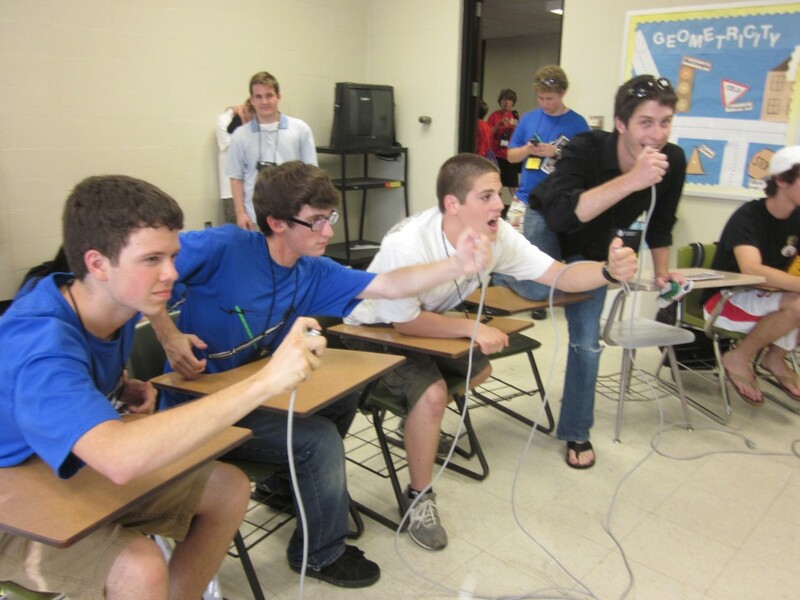 The small rooms for the certamen made the viewing difficult, but the OH students still came out in full force to support their players. 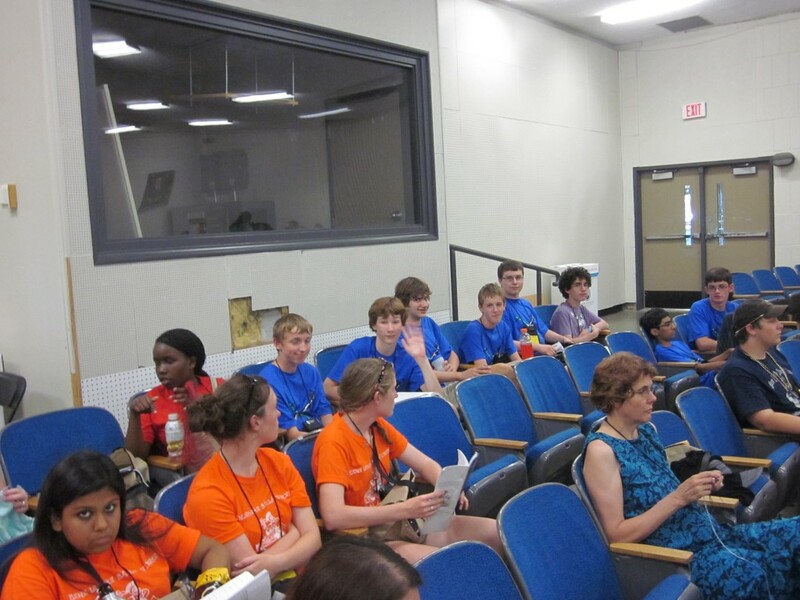 Go to the shutterfly account and click on ‘View All Videos’ to see a short video of a certamen room before the match. On a personal note, I get to sleep in tomorrow!